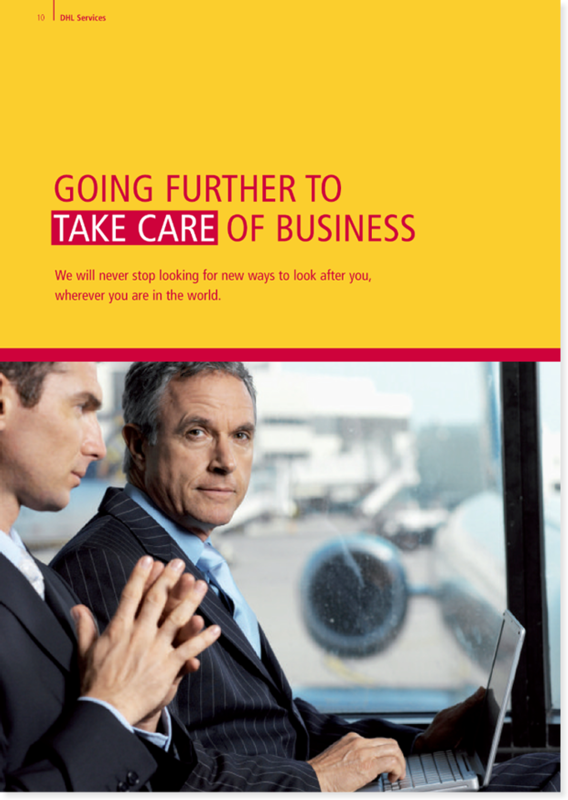 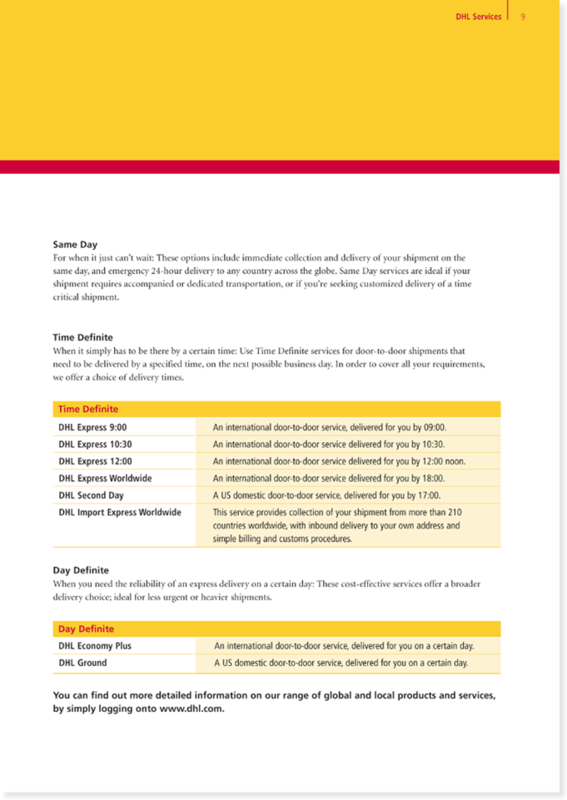 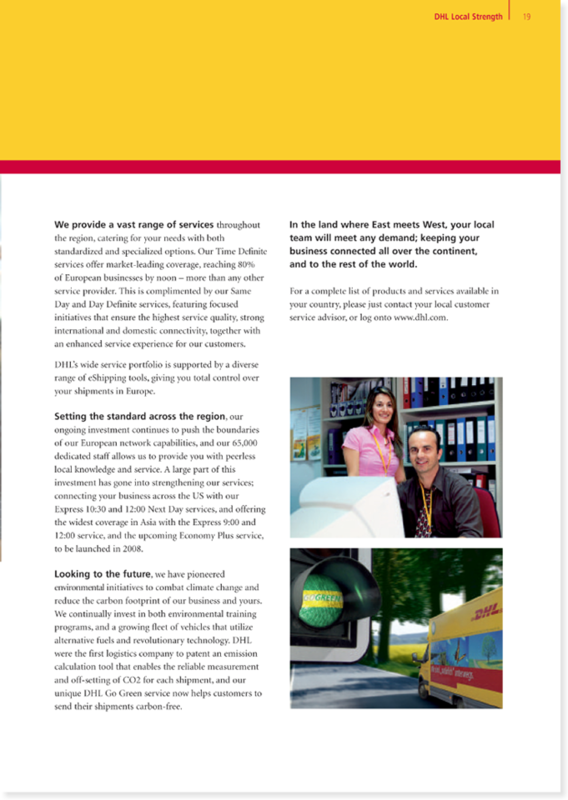 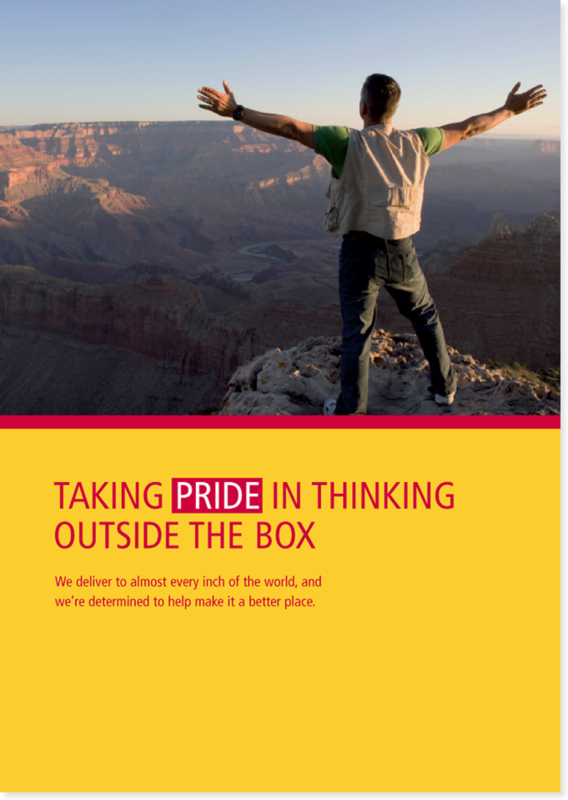 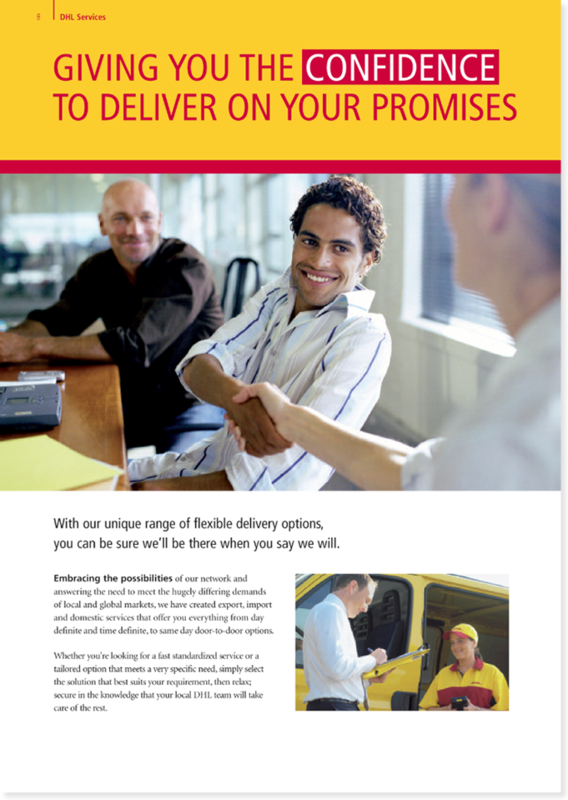 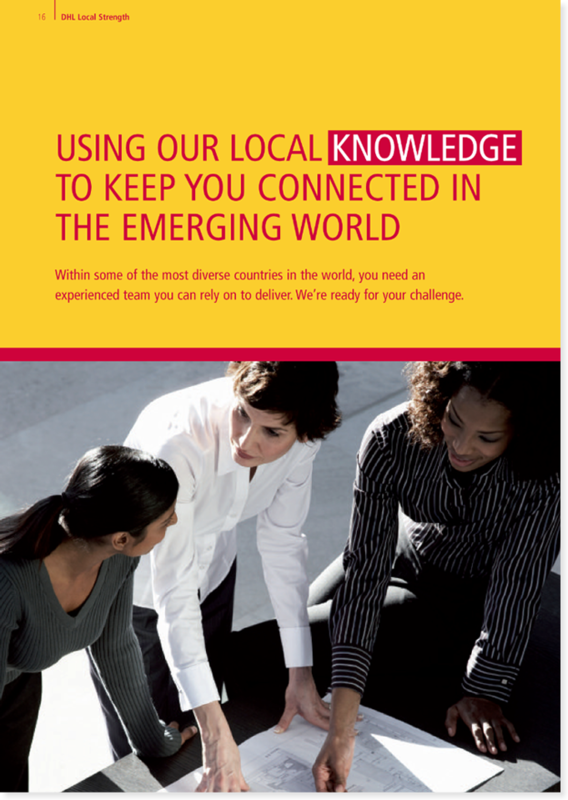 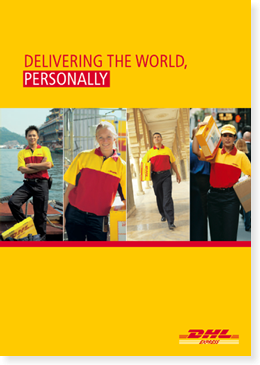 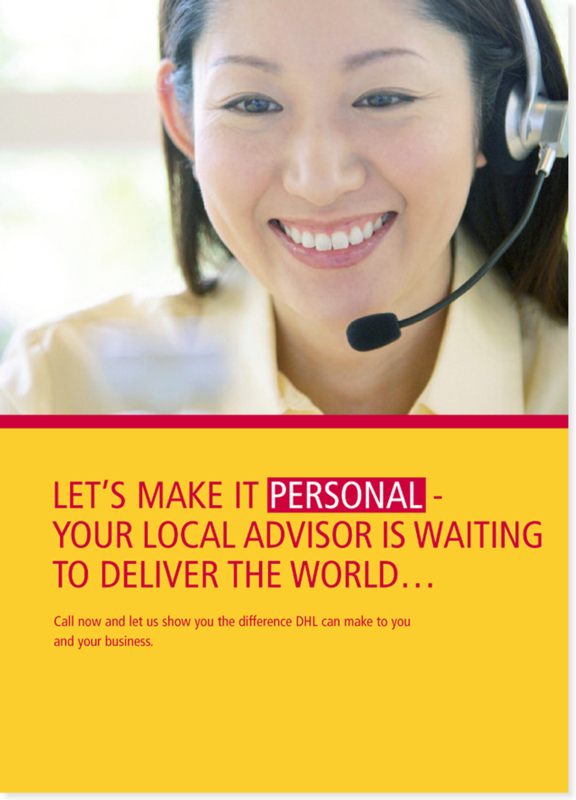 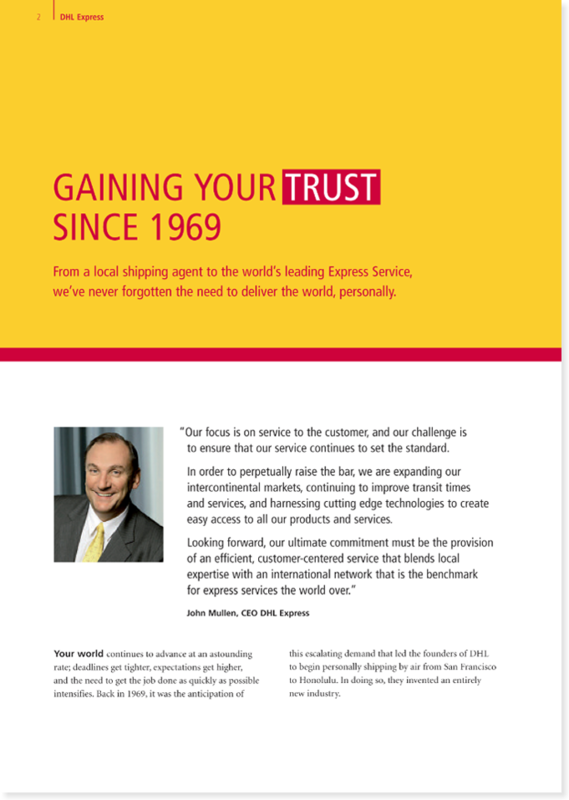 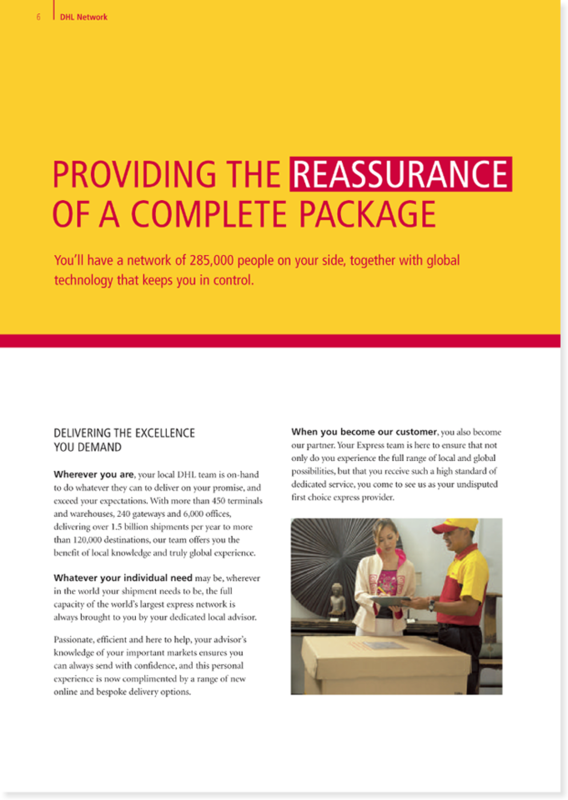 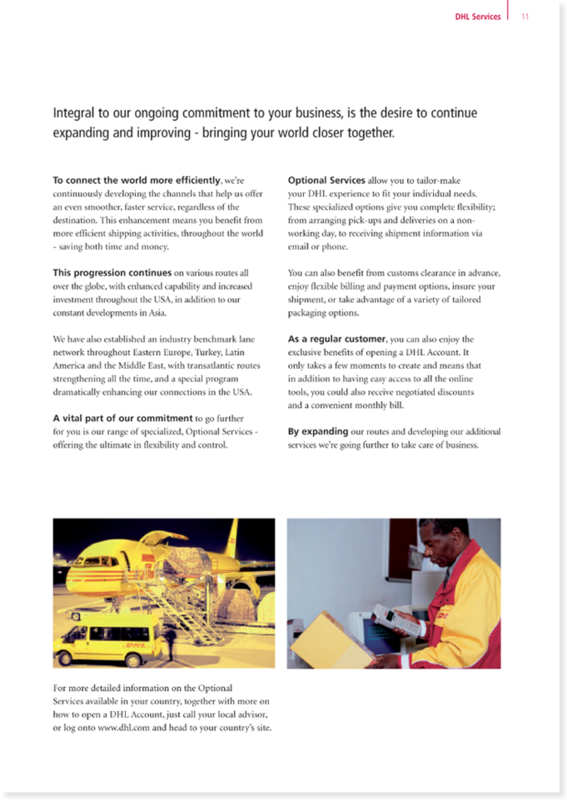 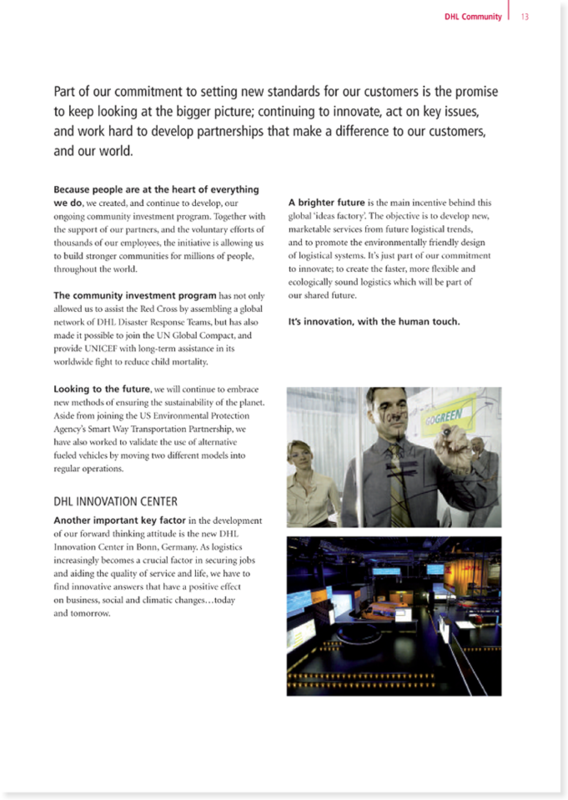 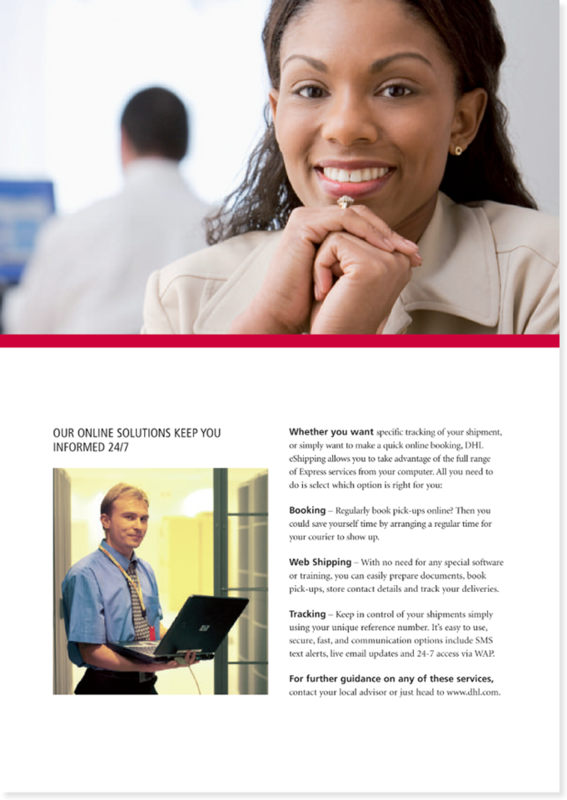 DHL needed to produce a global customer brochure in late 2008, to be distributed in over 200 countries throughout 2009. 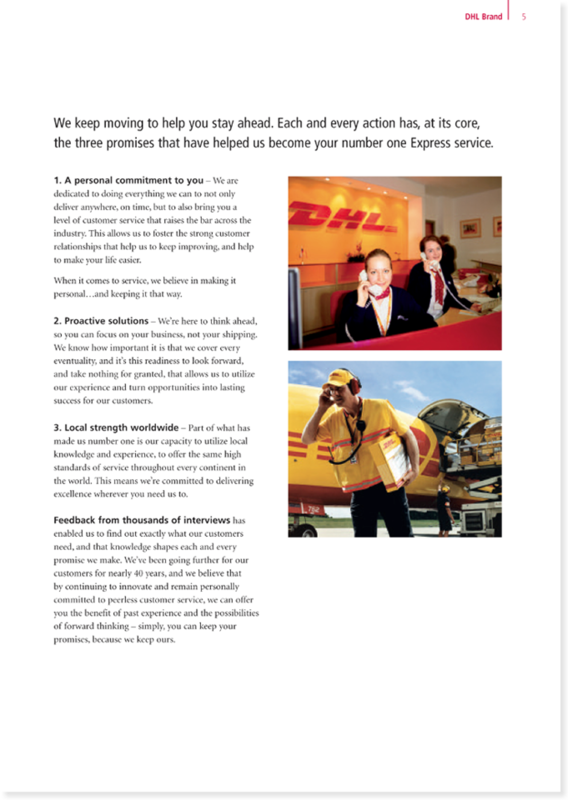 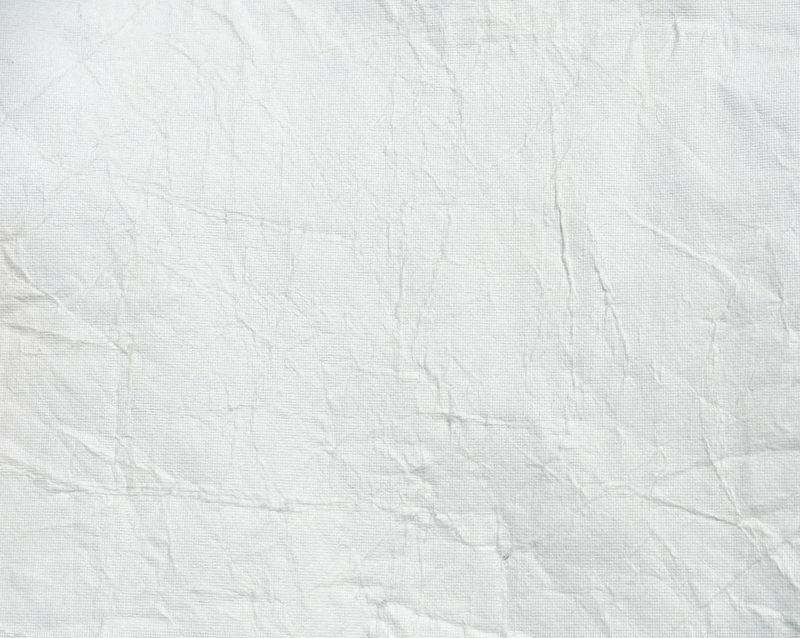 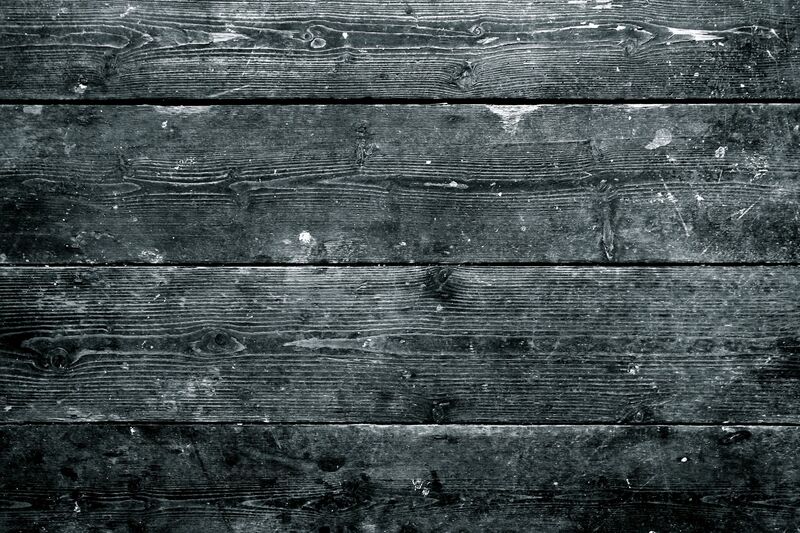 Working alongside designer Karen Mellor, we put together a pitch that won the contract for Maverick. 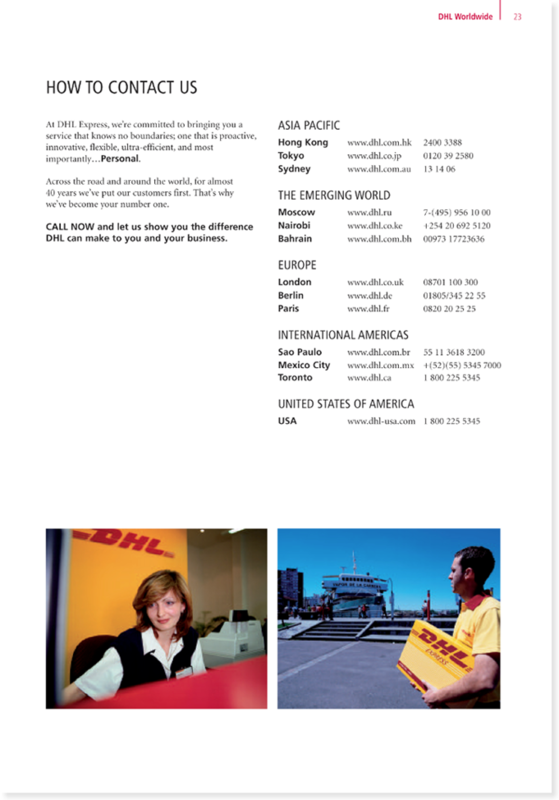 I then wrote the copy for the entire brochure, with Karen taking care of the design. 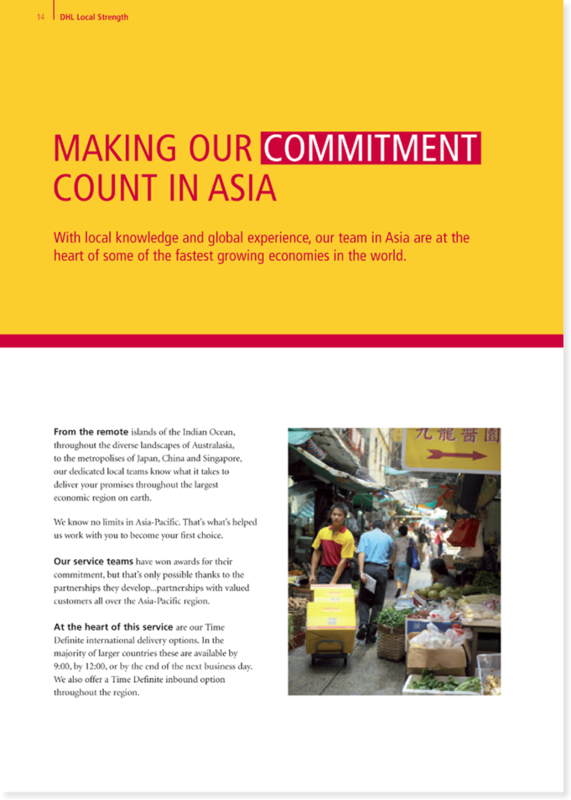 Staff across the world were highly impressed with the results, and the brochure was soon distributed everywhere from Aberdeen to Addis Ababa.